Introduction. Family. Culture. Gender. Ethics. Personal Strengths. Change and Resistance to Change. Conclusion. 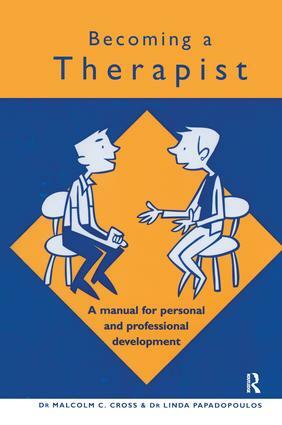 Finding a Counsellor or Personal Therapist. Malcolm Cross is a Senior Lecturer in Counselling Psychology and Director of Counselling Psychology Programmes at City University, London. Linda Papadopoulos is a Senior Lecturer and Course Director in Counselling Psychology at London Guildhall University, London.